Let me just say that I’m not universally opposed to a good conspiracy theory. I do believe that the government can and will be untruthful and manipulative when it suits their purposes. 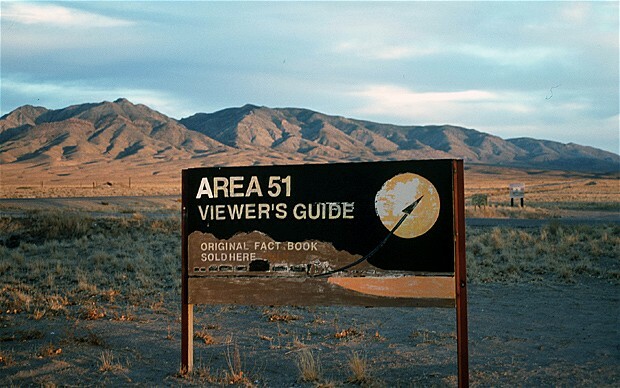 Area 51 as a hiding place for UFO’s and captured aliens? Sure, why not. The grassy knoll in Dallas is number 6 on my bucket list, and back in college I actually read the entire book, Rush To Judgment, detailing all of the reasons why Oswald could not possibly have killed Kennedy. But what really scares me is that I’m becoming convinced that with a wide enough platform, you can convince 30 to 40% of Americans of just about anything. WMDs in Iraq? 30% of Americans still believe that they existed even after former president George Bush admitted that they were never found. A similar number still buy the notion that Saddam had something to do with 9/11. Climate change? Don’t get me started. Most of those notions are harmless. Some of them are folks simply adhering to a set of political mantras that suit their worldview and their temperament. Am I wrong though, in feeling like the paranoia is becoming more acute? When I heard that Texans were arming themselves after hearing of a routine military exercise fearing that the government was preparing to take over their state, I wanted to find it laughable except for their passionate sincerity. I mean, seriously guys? The government can’t even figure out how to take back a remote wildlife refuge that’s been taken over by some random yahoos, a place that no one even goes to except the occasional birder. What in the hell would the government do with the entire state of Texas? Rename it Eastern California and hope the people would become more progressive? The military exercise came and went and Texas still abides as a sovereign state. Shocker. Hey, write what you want to write, believe what you want to believe, but what hit my “utter disgust” button was Tracy’s response when the parents of Noah Pozner, a 6-year-old victim of the massacre at Sandy Hook, requested that he remove the picture of their son from his blog. In response, Tracy sent them a certified letter demanding proof that Noah had ever actually lived and documentation that the Pozners were actually his parents. In a letter on his blog, Tracy accused the Pozners of “profiting handsomely from the fake death of their son.” At this point, I believe both parties are suing each other for harassment, and Tracy is claiming that the family is responsible for his firing. It’s one thing to believe that there is a government conspiracy to deceive the public and to use your voice to promote your version of the truth. It is entirely something else to attack people who have already endured the worst kind of suffering. My wife has tried to keep my blood pressure down on this one reassuring me that it’s just one more voice screaming in the wind, but check out his FB page (https://www.facebook.com/memoryholeblog/). The 30% are starting to line up in his support.